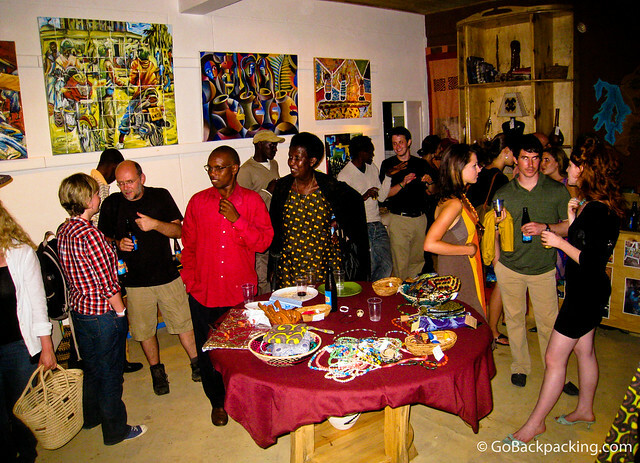 A new Kigali souvenir shop showcases art and handicrafts from around Rwanda. After touring Rwanda for a week last April, my group returned to the capital city of Kigali to prepare for departure. We stopped by a souvenir shop on opening night. Run by a women's collective, the shop sold traditional Rwandan crafts that were made by women all across the little East African nation. 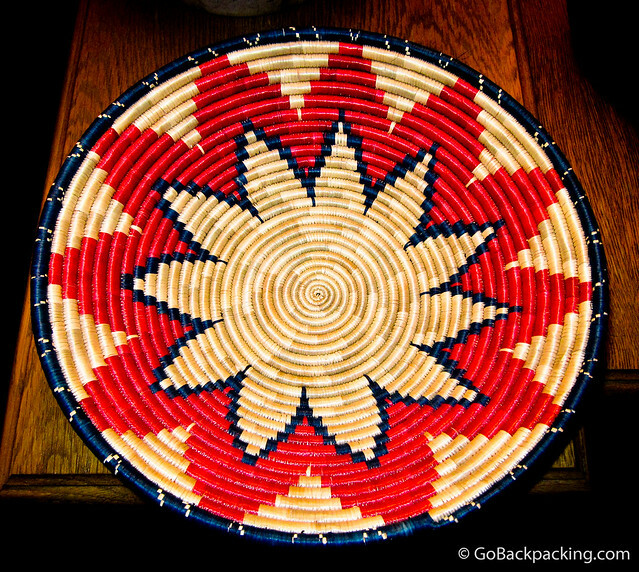 Items for sale included paintings, beaded jewelery, and woven bowls and placemats. The idea was that by pooling their products in a central, well-trafficked location such as a shop in the capital, they'd be able to make more money than if they relied on foreigners to drive through their part of the country. 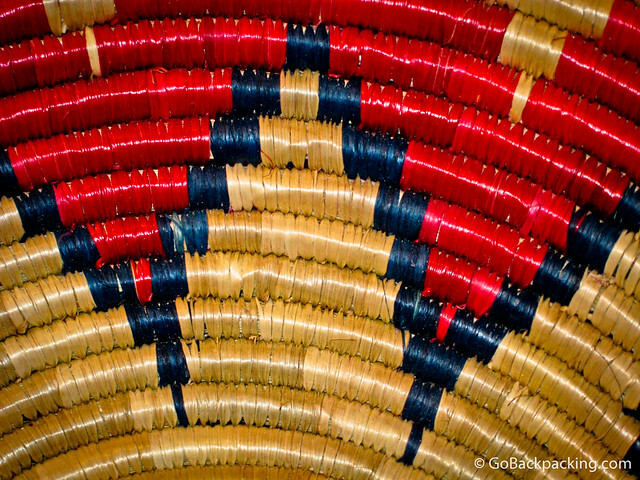 I was especially struck by the crafsmanship and colors of the woven bowls. To support a good cause, and pick up a reminder of my time in their friendly country, I bought a red and blue bowl. Pretty enough to stand alone as decoration on a coffee table or wall, I also imagine it'd be perfect for holding fruit in a kitchen one day down the road. As for the cost, I believe the large bowl pictured here was about $12. I bought a second, smaller one for a little less as a gift.